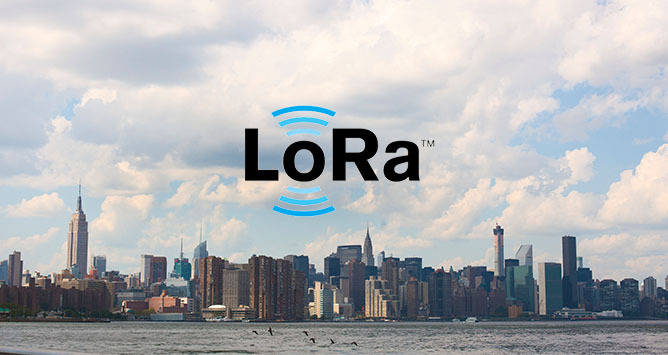 IEM joins the LoRa alliance, a group of companies that favors the development and the promotion of the LoRaWAN telecommunications network. LoRaWAN is a low power technology which is used for the PrestoSense sensors. The LoRaWAN technology was developed for telecommunication between battery-operated objectsthat transmit low volumnes of information. LoRaWAN is meant to reduce the maximum power consumption for long battery life of installed equipment. Other telecommunication networks like WiFi and cellular networks are not suitable for their short range and/or fuel consumption. LoRaWAN technology is ideal for PrestoSense because it allows the sensors to be autonomous for up to 10 years. Also, the parts easily integrate to the case thanks to their small size. Moreover, the LoRaWAN network allows real-time data transfer which informs the driver immediately and reliably on the availability of parking spaces. After several months of testing and deploying antennas in connected cities, LoRa technology is now in production in several European cities since the beginning of 2016. LoRaWAN is used in the parking sector for vehicle detection sensors, for the reading of water meters, and even for waste collection. The LoRa alliance, a world-wide group of companies from different sectors, standardizes the use of technology, and participates in the deployment and promotion of the network. As a member of the LoRa alliance, IEM participates in technology watch by researching the evolution of the norm and certifying its products.